PA Therapy want to take you on a journey to complete relaxation and restoration. We offer an exclusive range of treatments by way of the finest holistic and therapeutic therapies using natural, indigenous products. We are committed to providing a sense of escape through a healing and timeless approach to every single treatment. Our single priority is to personalise your journey with us to meet your specific needs, leaving you with an awareness that your body, mind and spirit have been lifted, refreshed and restored. 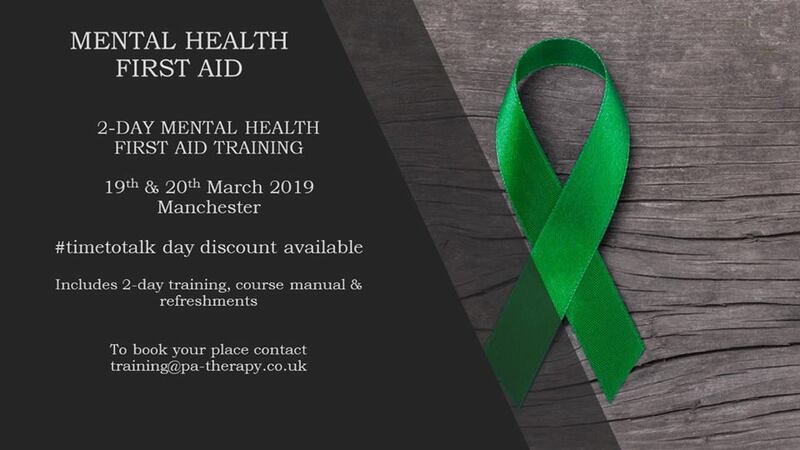 2-day mental health first aid course in March 2019.